A year ago I wrote this list of research goals. Before writing a 2013 list I need to evaluate my progress and results from this list. 1. 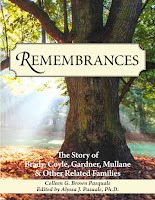 I will concentrate my genealogy research on my mother’s family, broadening my knowledge of the Coyle, Mullane, Brady and English families in Ireland and the Gardner family in Austria. 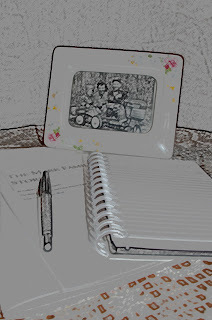 Writing down these goals helped me to clarify the direction my genealogy was headed in 2012. It also shows me where I need to begin my 2013 goals. the Dreams of a Happy New Year! a hand to hold at Christmas. to finish up the year. without a hand to hold. 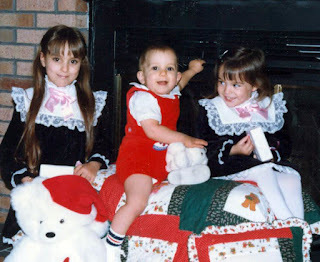 Today Geneabloggers ask if we have a favorite Christmas song. Be sure to read all theposts that answer this question. 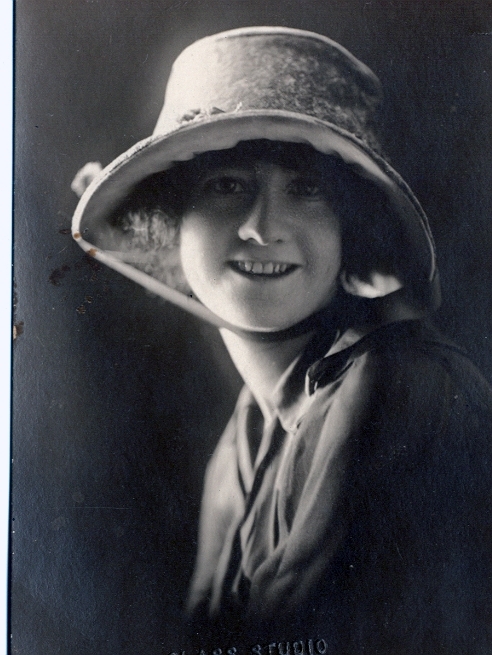 My maternal grandmother, Helen (Coyle) Gardner [1897 – 1965], had a favorite Christmas song. She had a strong religious beliefs and a devotion to the Blessed Mother. Her favorite song, about the Blessed Mother and her Child, was Silent Night. I think of her when I hear it. 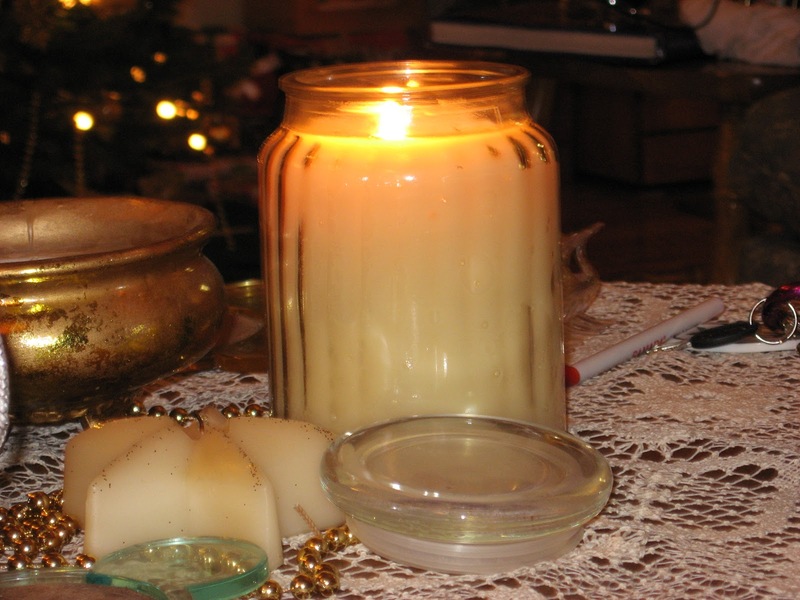 Read my Advent blogs from 2011. We usually go to Mass on Christmas Eve rather than Christmas Day. Growing up, my brothers and I would rather go to church the night before Christmas so we could stay at home on Christmas and play with our new toys. That meant we had to stay up very late and go the midnight Mass.There were no earlier services in those years. Mass was said in Latin so there was much that we did not understand but I loved the flowers, the candles and the songs. When our children grew up we were often traveling on Christmas Eve, trying to see both sides of our family. 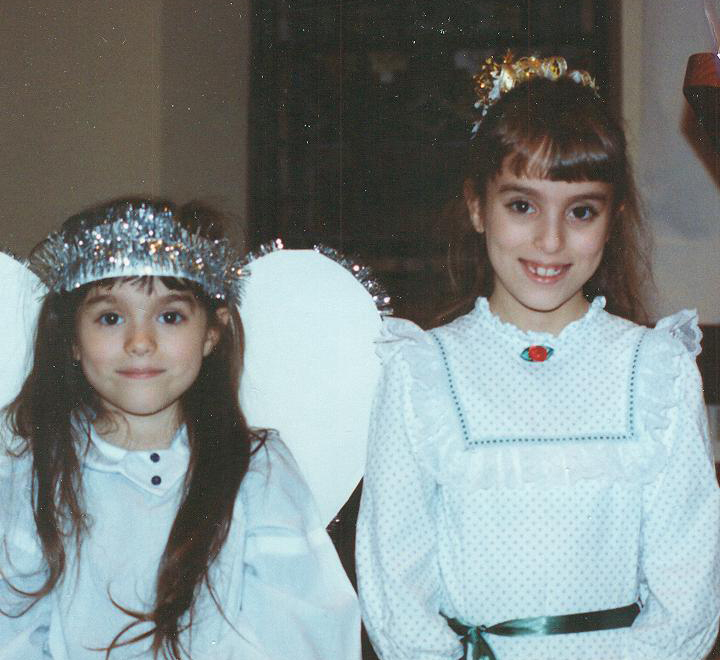 In the years we stayed at home our children also preferred going to Mass the night before Christmas. Fortunately we did not have to wait till midnight. Saint Henry's church has an early children's Mass. The children would sing and act out the Nativity. It was a very different kind of service than my brothers and I had experienced, easier for children to understand and participate in. You can see our girls dressed for the special night. Now that our children are adults we are often traveling again. We attend Mass in other states but we usually stick with Christmas Eve Mass. No matter when or where we go it is always special, to be together, to pray and sing together, and to remember the first Christmas. Today Geneabloggers asks: How did your family handle Christmas Shopping? Did anyone finish early or did anyone start on Christmas Eve? Be sure to read all the posts about Christmas shopping. In our family we were all pretty good about planning ahead with our shopping. Our small town had no gift shops so we had to drive to the City of Hudson, NY. We bundled up, walked along Warren Street and looked at the pretty window displays. We shopped in Woolworths and Newberry’s Five and Ten Cent Stores. There was a two story clothing store that had an elevator and a gentleman who operated the elevator. I remember buying embroidered cotton handkerchiefs there for my Nana. There was a drug store that also sold boxes of chocolates. I remember buying a small box of Russell Stover chocolates for my grand aunt. It had just four pieces of chocolate and cost me 25 cents. About 1965 the first shopping mall in our area opened. It was a special occasion when our mother would drive us there. We’d drive for over an hour and be amazed at all the stores there. My oldest brother has never been a ‘plan ahead’ shopper. When he was old enough to drive himself he would begin his shopping on Christmas Eve. On Christmas morning, when we were all gathered around the tree, my mother would hand around beautifully wrapped and beribboned boxes. Sometimes I hated to ruin the wrapping by opening a gift. Then my brother would hand out his gifts. Because he did his shopping at the last minute, his gifts were often still in paper bags! We learned to look forward to those paper bag gifts. Occasionally he still gives one of us a paper bag gift and we all laugh. Growing up we had the usual red felt stockings with our names written in silver glitter across the top. Our mother hung them on the back of our front door in the little house when we were small and going up the stair posts in the big house when we were older. 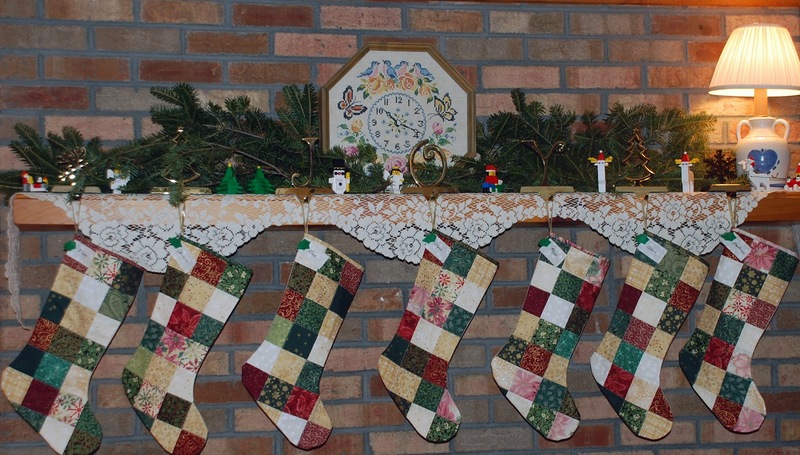 When my husband and I bought our house with a fireplace I was thrilled that we could hang stockings form the mantle, like in story books and magazine pictures. Our son’s stocking is different from the rest. His is crocheted in red & green yarn. Why? He was born on the evening of December 23. When he was brought to me on Christmas morning, the nurses had put him into the stocking which they had sewn. They even snapped a Polaroid of him, peeking out the top. The best filling for a stocking ever! This year I have made a new set of stockings, patchwork in greens, reds and golds. Our son will be married soon and I think a more adult stocking is appropriate. However, I put away the crocheted stocking carefully. There may be a time when a new generation can use it. Our Nativity or Manger scene was always a part of our Christmas. My mother had a small table in the hall where we’d set up the wooden stable and colorful plastic figures: the animals, an angel, a shepherd and the Holy Family. We had a cow that did not stand straight. She had to lean against the stall to stay on her feet. There were fat white sheep and a friendly looking grey donkey. The Blessed Mother, in her pink and blue robes, was my favorite. We never put the Baby Jesus in the little scene until Christmas Day. And my brothers and I put the three wise men on the far edge of the table. Each day we’d take turns, moving them closer to the Baby. When I got married my mother bought me a beautiful set of Nativity figures of my own. I keep them in the original box and love lifting out each tissue paper wrapped figure. It is like seeing friends who I haven’t seen in a long time. When my children were little theirs were the little hands who placed the animals in the stable and moved the wise men closer each day. Read some of my 2011 Advent posts. For many years I taught in a small Catholic school. Advent and Christmas were always special in my first grade classroom. Naturally, most of our focus was on the religious meaning of Christmas, lighting the Advent candles and talking about the coming of the baby Jesus. We also focused on helping others. The children brought in hats and mittens for the homeless shelter. We gave books to our school library. We also remembered our Veterans. All through the year we visited the veterans at the local veteran’s hospital, taking homemade cookies and cards, singing and thanking them for their service to our country. We did special little things all through the year. One Christmas we had the opportunity to make cards and little gifts for sailors on a nuclear submarine. My future son in law was serving on the USS Albany. We got the whole school involved in this project. 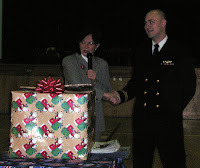 He came to our school and, in a special school assembly, the children presented their cards and gifts to him. Our principal, the daughter of a retired naval officer, thanked him and his fellow submariners for their service. 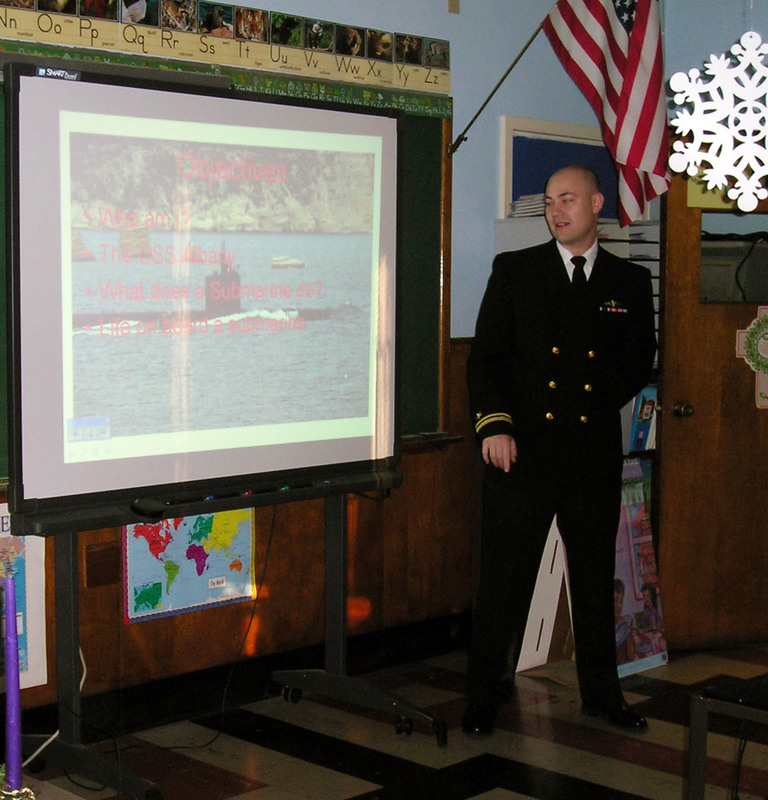 Following the assembly our Lieutenant came to my classroom and gave a Power Point show to the children with many pictures of the submarine. The children were thrilled. They had many questions, especially about the whales and dolphins encountered at sea. 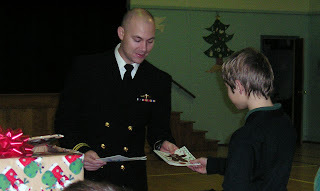 We later received a letter from the submarine’s Captain explaining how much the sailors enjoyed the treats and the cards. It was a great way to show the children that helping others can be fun. Geneabloggers suggestion for today: 'Select one or more December to mid-January birthdays and/or anniversaries on your family tree. Write a short tribute to or memory of those birthday guys and gals and write a toast to the anniversary couples.' Read more of these posts. Ancestor Anniversaries. All through 2012 I have been posting, twice a month, these anniversaries for folks in my family tree. This is the final post. Cheers to all the couples in my family, past & present who have found love and laughter together. 22 December 1926 Glenn Raymond Jolliff [son of Samuel Martin Jolliff & Margaret Maude Mark] & Elma Grace Pletcher. They were married in Wayne Co., OH. Glenn was married twice. 24 December 1921 James Alton Ball [son of James J Ball & Mattie Dennison] & Mildred Olga Brown [daughter of Jasper Pascal Brown & Rose Ella Brumfield]. They were married in LA. They had ten children. James was a farmer. 25 December 1918 Elmer Maurer & Pauline Morrison [daughter of Seth Benner Morrison & Margaret Jane Gruissy]. They were married in Wooster, Wayne, OH. Elmer was the manager of a gas station. 26 December 1849 Henry William Leander Lewis & Salina Theresa Morris [daughter of Benjamin Morris, Jr. & Hollander Smith]. They were married for 39 years. 26 December 1937 Milton Sydney Weissberg [son of Frank Samuel Weissberg & Florence Gartner] & Anne Bloom. Milton was an attorney. They were married in Buffalo, Erie, NY. They had two sons. Milton & Anne were married almost 50 years. 26 December 1941 Jerry Sidney Comeaux & Nathalee Smith [daughter of Denny Herbert Smith & Mavis Marie Brown]. They were married for 48 years. 27 December 1866 Joel H Good [son of Isaac Good & Sarah Larue] & Margaret Chidister Brown. They had one son. 29 December 1933 Wilfred Stewart Marshall & Marguerite Christina Coyle [daughter of Michael Coyle & Mary Josephine Mullane]. They were married in the Bronx, NY. Wilfred was born in England. Marguerite was born in New York City. 30 December 1843 Ina Payne Alford [son of Edwin Barksdale Alford & Martha P Smith] & Elizabeth Hope. They had five children. Ira was married twice. 30 December 1902 Alfred C Pfeifer & Emma Jane Mark [daughter of William Mark & Elidia Rebecca Ritter]. They were married in Lorain, OH. Alfred was a farmer and he drilled gas wells. They were married for 58 years. 31 December 1878 Samuel Wolf [son of Frederick Wolf & Louisa C Goetz] & Elizabeth Reynolds. Samuel was married twice. He also married Susanne Metzger. 31 December 1924 James Everett Mark [son of William Mark & Elidia Rebecca Ritter] & Effie Margaret Carter [daughter of Frank Carter & Sadie Mapes]. They had 11 children. James was a laborer. They were married for 42 years. In honor of today’s date, 12/12/12, here are 12 questions I’d like to answer about my various family branches. If you have suggestions on how I should proceed, I’d like to hear from you. 1. What happened to my great grandfather, MichaelCoyle? He was a baker in NYC who left his wife and family about 1927. 2. What is the service record for Thomas Coyle, son of Michael. I have photographs of him in his sailor uniform but can find no records. I believe he lied about his age because he was too young to join up in World War One. 3. What happened to my Gardner/Weisberg cousins? I have two second cousins related to me through my maternal grandfather, Nathaniel Gardner. 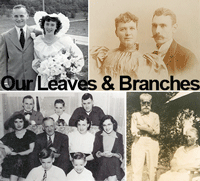 As far as I know they are my only relatives in that branch. They grew up in the Buffalo, NY area. I would like to contact them. 4. Where in Austria did my great grandfather, Leopold Gartner/Gardner, come from? I have not done Jewish research before but I’d like to learn more about this branch. 5. When did Allen Moses Brown die? He was born 26 January 1836 in Liberty, MS and died after the 1870 Pike Co, MS census. 6. When did Catherine Mullane die? She was born 8 Feb 1887 in Clomel, Tipperary, Ireland. She may have been a nun. Tombstones in Old Newcastle Cemetery may have the answer. 7. Was Augustus Ceaser Gruissy murdered by his third wife? He died 8 December 1915 in Stark Co, Ohio. Family stories say she did him in before he could change his will. Finding an obituary or newspaper account may help answer this question. 8. Who were the parents of Abraham Mark(s)? He was born 12 November 1812 in Corliss, Pennsylvania. He is a brick wall that I’d break through. 9. Where, in Ireland, was Catherine Gibney born? She was born c 1818. She married Thomas Brady in 1841. 10. Did Arthur Moses Gartner have any children? He was born 15 June 1884 in New York City. He died after 1948. His wife was Frances. Do I have cousins somewhere? 11. What year was my husband’s grandfather, Charles Palilla, born? We think it was 7 July 1894 in Naro, Sicily. He would never share the actual year. His daughter would like to know when her father was born. 12. When and where was Edward Brown born? He was born c 1730. He died c 1797 in Jones, North Carolina. 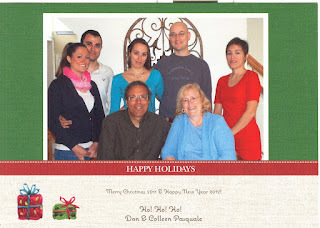 Today Geneabloggers asks: Did your immigrant ancestors have holiday traditions from their native country? Read about other traditions in these posts. My grand aunt, Kathleen G. Coyle, was a very private person but there were times when she would open up and give me a glimpse of her life as a young girl in New York City. 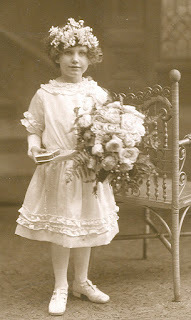 She was born in 1916, the child of Irish immigrants. She was the youngest of seven children. Her father, Michael Coyle, was a baker. She told me she remembered looking for the longest stocking possible to hang on the mantle before going to bed on Christmas Eve. Since she was the youngest, her stockings were always the littlest. However, she wanted to get lots of treats so she looked for a long one to hang. Little Kathleen would go to bed on Christmas Eve and her mother would wake her up at midnight. Their apartment would be dark. Her mother would lift little Kathleen out of bed and hold her up. As her mother walked through their apartment Kathleen would pull the strings to turn on the lights all over their home. Kathleen’s mother said this was to light the way for Jesus to come. They’d hear the Church bells ringing. Then they’d go in the parlor and see the tree and the gifts, none of which had been there before Kathleen went to sleep. There would be candles on the tree and pots of water set around the base for safety. After briefly admiring the lights, they’d be blown out. One of my most special Christmas gifts is a gift I get each year, small Hallmark Christmas houses that were designed to be ornaments. Rather than hanging them on my tree I set up these Victorian houses and shops as a village on my piano top. I have found tiny people, trees and fences that look well with the buildings which include: a Post Office, Cinema, the Carol Inn, Don's Nursery, a Toy Store, a Church, a School, a Bank, Firehouse, Cafe, Book Store, Card Shop, etc.The back of each building is open. You can turn it around and look inside to see amazing details: chairs, tables, fireplaces, beds, rugs, cash registers and more. Every one has a Christmas tree inside. In 1984 my mother gave me the first of these little buildings. She knew I liked miniatures. I used to have a doll house in my living room with scale model furniture that I built from kits. I went to miniature shows and subscribed to 'The Nutshell News', all about serious miniatures and collections. The house she bought me turned out to be the first in a series. [That first house is in the top photo, in the center; a pick house with a green roof.] Each year my mother bought me the next shop or house in the series. every year I was delighted to unwrap the newest one. The first Christmas without my mother was difficult. I did not feel like celebrating. However, we had three children who would not have understood skipping Christmas. So our tree went up, stockings were hung and cookies were baked. On Christmas morning I was surprised to unwrap a tiny Christmas house. Christmas joy found its way into my heart. My daughter picked up where my mother left off. She is now my special Santa, searching out and buying me the latest building each year. I never look in Hallmark stores at their ornaments. I like to be surprised. I wonder what it will be this year. Today's topic from Geneabloggers is Grab Bag. 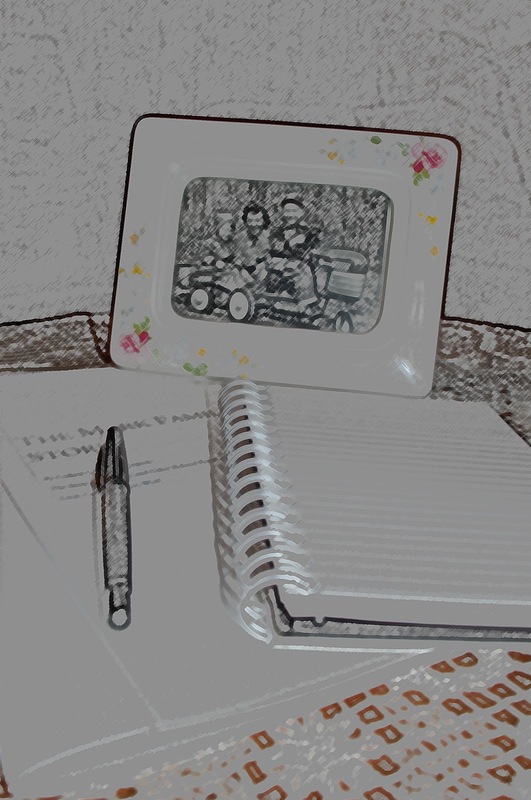 We are free to write about any Christmas memory. Be sure to read all the posts for today. Coco is testing the Christmas tree lights. At Christmas time there is always a long list of things to be done: decorations to be arranged; cookies to bake; cards to write out; and presents to wrap. I often wonder if it will all get done before Christmas Day is here. I shouldn't worry. I have furry helpers: my cats. 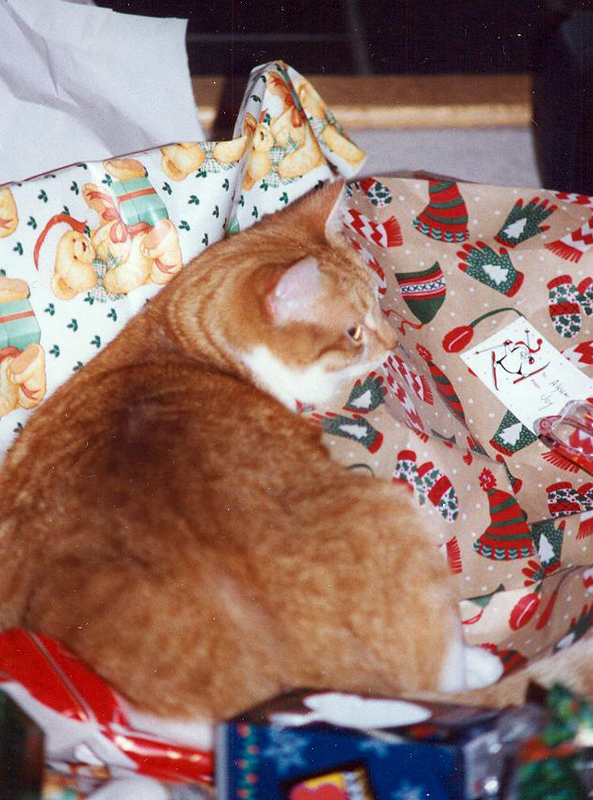 Our cats from today and from Christmas past were devoted to lending a helping paw. Tony checks the tree for freshness. They are good at inspecting the wrapping paper and ribbons by napping on them. They hop into boxes to make sure the gifts will fit. They swat the balls on the tree to be sure they won't fall. They keep me company when I bake cookies by rubbing on my legs and meowing for treats. If you need help at your house, just let me know and I'll send a couple cats right over! Candy was in charge of wrapping papers. Pumpkin was ready for a well deserved nap. I'm sure Santa Claws will remember and bring them special presents for all the work they do each year! Coco makes sure no one opens these gifts before December 25! Read my 2011 Advent Memroies from last year's Grab Bag. My brothers and I helped our mom bake cookies every year. When I became a mom our children helped me. Below is a recipe that has become a favorite. It was given to us by Joan, a wonderful young woman who used to babysit for our children and who now has a beautiful daughter of her own. Beat until stiff & shiny. Drop by teaspoonful onto ungreased cookie sheet. Turn oven OFF and leave cookies in oven overnight or at least 6 hours. 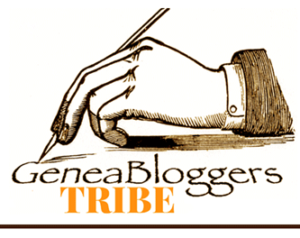 Today's topic at Geneabloggers is Holiday Parties. Be sure to check out the posts there. When we were first married my husband & I lived in the Buffalo, NY area. My husband was an intern at Milford Fillmore Hospital. 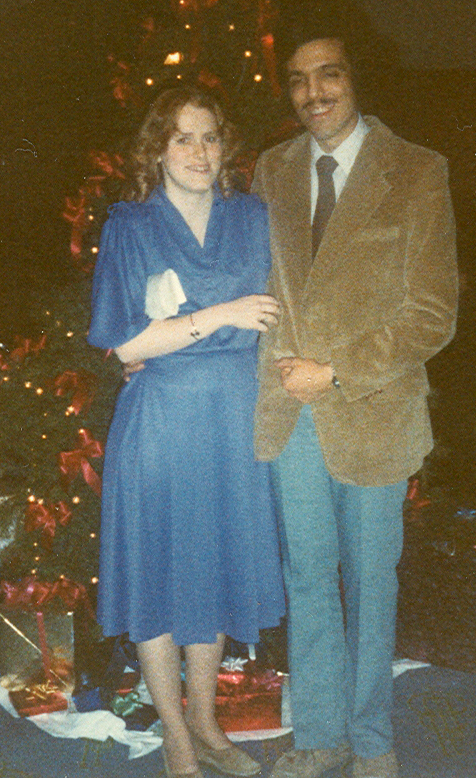 Each Christmas we were invited to the big party at an elegant country club. It was both exciting and intimidating to attend with the 'real' doctors, the attendings. Everything was the best: decorations, food, a live band, drinks. After dinner cigars & liqueurs were passed by the waiters. Many years later and my husband is one of the senior doctors at his present hospital, unfortunately they do not do Christmas parties. Read my 7 December 2010 Post in memory of my maternal grandfather who died 7 December 1944. Advent Calendar of Christmas Memories - Who is Santa? My mother was the best Santa ever. She did not dress in red or jingle any bells. She did not call any attention to herself. Quietly, secretly, she made sure my brothers and I found our most wanted Christmas gifts beneath our tree on Christmas morning. Our mom put away money all year for this shopping. She drove from one store to another to find the toy or clothes or radio or watch we wanted. She hid her finds in her bedroom, tossing a blanket over things till she had time to wrap them. One year I wanted a gold cameo ring more than anything else. I thought it was beautiful. On Christmas Eve my mother & I took a quick trip to Hudson [the ‘big’ city near us] for a couple last minute errands. 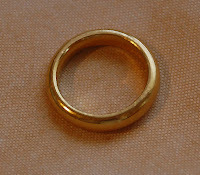 On the way home in the car my mother told me that I would not be getting the ring. She had sent away for it but it had not arrived and now that it was Christmas Eve deliveries were finished till after the holiday. She had been watching for it every day but now it looked like it was not going to arrive in time to go under the tree. I was deeply disappointed but said it did not matter. I just thanked her for the ring and all her efforts to get it on time. I knew she felt terrible that she could not do this for me. We arrived at home and carried our packages up to our door. There, sitting on our front porch, was the box with the ring! I still have that ring and remember my mom whenever I wear it. Today's topic from Geneabloggers is Outdoor Decorations. Read more posts on this topic. Outdoor lighting is not one of our strengths. You will not see fancy light and music shows at our house. Growing up we had a few lights on the evergreens beside our front door. My mother had artificial candles in the windows that looked quite pretty. That's the extent of that. My husband and I follow that limited tradition. However, I do have the skills to hang a wreath. I put one on our front door and a matching on on my little garden shed. They are fresh greens and look rather nice. Today's topic at Geneabloggers is Christmas Cards. Be sure to look at other posts on this topic. 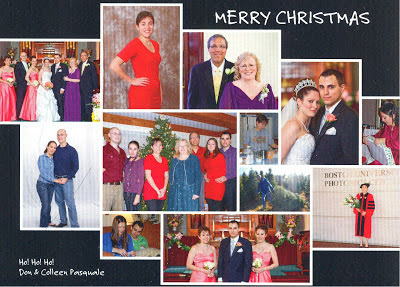 We have a tradition of photo Christmas cards. The photo above is the first photo of all three of our children on our Christmas card. They are posed on a quilt I made for our son who was born just before Christmas the year before. This photo still makes me smile but it wasn't always easy to get a good snapshot. I often had a photo of two smiling children and with with their eyes closed or head turned away. This was before digital cameras. I used film. In fact one year it took three rolls of film to get a good photo! Today our children are all adults and we all live in different states. The challenge now it to get all of us together in one photo. Last year we were able to take this shot when we gathered at Thanksgiving. This year's photo card is almost ready to put in the mail. Watch for it! 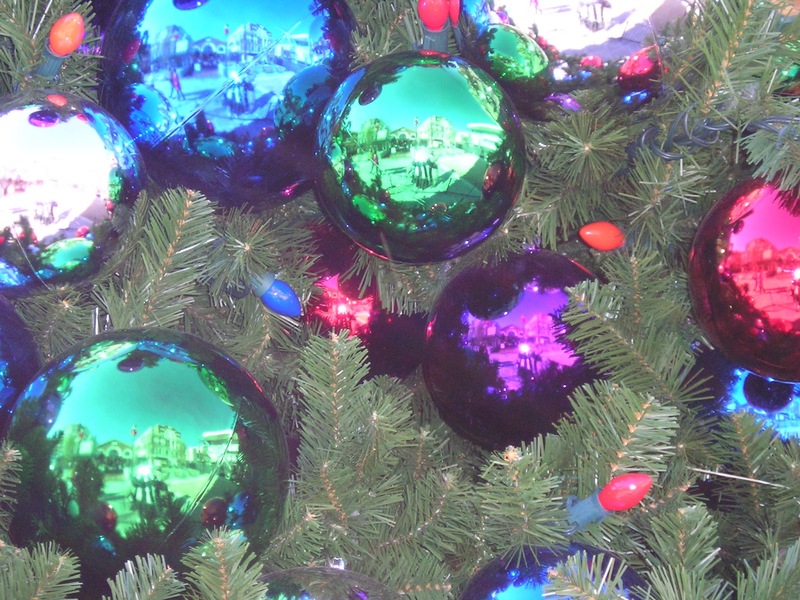 Today's topic from Geneabloggers is Christmas tree Ornaments. Read more posts on this topic. Our Christmas tree today with its coordinated red and gold balls and snowflakes looks quite different than it did twenty years ago. When our children were small our tree was adorned with handmade ornaments. We had reindeer made from clothespins, the drummer boy’s tin drum made from a can of tuna and pinecones painted gold. We had garlands made from colored pasta and string. There were dated ‘Baby’s First Christmas’ balls, small ballet shoes from dance teacher and favorite Disney characters hanging from the branches. I cross stitched ornaments with our children’s names. I put their photos in miniature frames and hung them with colored ribbons. Our oldest daughter liked to hide the plastic green Army men in the branches of the tree to see if her siblings could find them. Our son drove his trains and cars around the base. When it was time for our oldest daughter to celebrate her first married Christmas I put together a special present. 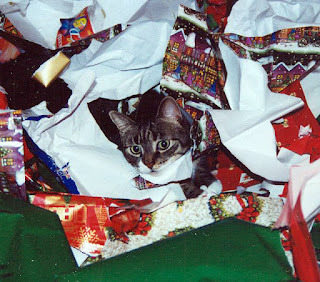 I wrapped up her special ornaments in tissue paper and laid them snuggly in a gift box. Her pretty tree with its new decorations had an instant history with stories to tell her husband. Our son got married this May. Yesterday my husband climbed up to the attic and carried down our Christmas boxes. I’ve taken out the tissue paper. It’s time to wrap our son’s memories for his first married Christmas tree. Today's topic from Geneabloggers Advent Calendar of Christmas Memories is the Christmas Tree. Go to Genabloggers to read more posts on this topic. We have always had a live pine tree for Christmas. I grew up in a small rural town where farms sold trees, some precut and some where you cut your own. We put it up on Christmas Eve, a tradition from my mother's family, and kept it u p until Epithany. When my husband and I were first married we lived in the Buffalo, New York area. One year we drove to a corner tree lot. It was below freezing and the snow was coming down heavily. We just sat in the warmth of the car, looking at the trees and picked one out. We dashed out paid and tied that tree to the roof of the car in record time. It wasn't the best tree but it is a tree we still remember. Now we have a cross country ski resort/tree farm where we have a wide choice of beautiful trees. My husband cuts down the winner. Our cats sniff it and love to nap beneath it, dreaming of the outdoors. I love that pine smell and because we cut the tree ourselves, it is fresh and needles rarely fall. No matter what kind of tree you have, I hope you have good friends and loving family to share it with. Read my 2011 Advent Memories post: Christmas Tree Memories. 1 December 1946 Calvin Ford Fravel & Mary Arline Parker [daughter of Ralph Alvin Parker & Nellie Irene Jolliff]. They were married in Wooster, Wayne, OH. They had two sons. 3 December 1849 Hines Berry Alford [son of Thomas & Dicy Alford]& Louansa Ellen Wadford. They had seven children. 6 December 1868 Augustus Ceaser Gruissy [son of Christian Gruissy & Mary Grorisclauss] & Esther Barbara Wolf [daughter of John Franklin Wolf & Elisabeth Burkholder]. They were married in Stark Co., OH. Esther was the second of three wives for Augustus. They had five children. Augustus was a laborer, a peddler and made & sold medicines. 8 December 1910 Dewitt William Alford & Ina Lucille Brown [daughter of Jasper Pascal Brown & Rose Ella Brumfield]. They were married in LA. They had seven children. Dewitt was a farmer. 17 December 1908 Tate Edward Fortenberry [son of Webster Fortenberry & Nannie Ellzey] & Lucy Viola Brown [daughter of Jasper Pascal Brown & Rose Ella Brumfield]. They were married in Pike Co., MS. They had three sons. Tate was a farmer and a log cutter in a logging company. 16 December 1798 Jeremiah Smith [son of Jeremiah Smith & Joanna Dillon] & Pemecia Smith. They had three children. 20 December 1818 Edwin Barksdale Alford [son of Jacob Alford & Elizabeth Bryant] & Martha P Smith [daughter of Jeremiah Smith & Joanna Dillon]. They were married in Pike Co., MS. They had 13 children. They were married for 43 years. Edwin was a part of the LA militia during the Battle of New Orleans. 20 December 1897 Benjamin E Blades [son of William Ephraim Blades & Morgana Josephine McDaniel] & Ollie Izellie Schilling. They were married in LA. They had a son and a daughter.